For this V-Day, we're not only providing sweet treats. 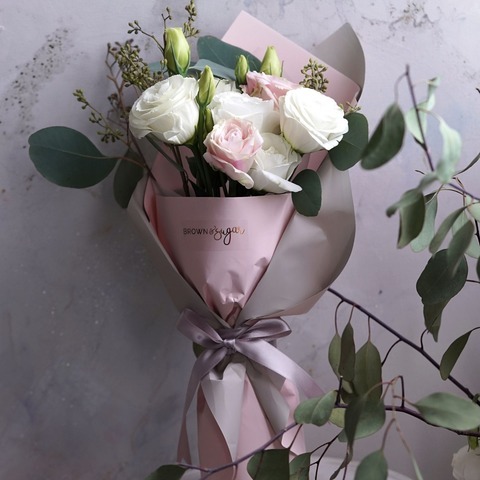 We're also providing flower services and our Primrose Bouquet comes with Eustoma, which symbolises admiration, and Eucalyptus, which symbolises protection. 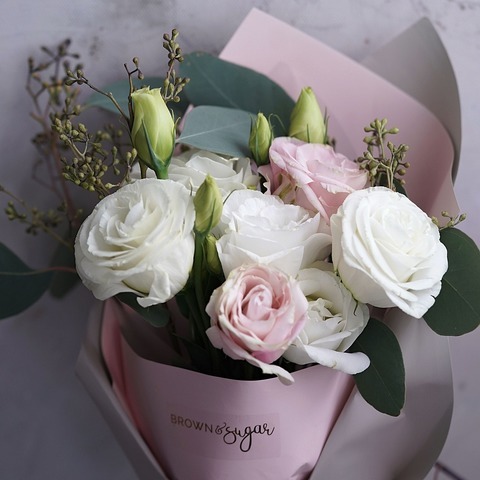 Please keep in mind that the flowers need to be transported with care, should you choose to personally collect the flowers from the florist. It's best to bring along a crate or a vase with you as it will help ensure that the flowers are kept upright throughout the journey. In the event you are riding solo, please tilt the front passenger seat all the way back to make sufficient room to place your flowers. This way, it'll allow you to keep a close eye on the flowers while you drive. Remember to not let the air-conditioner blow directly towards your flowers and be sure that the temperature inside your car isn't too hot. In short, please do not place your flowers anywhere near heat sources and keep away from any drought areas too, be it in the car or out the car. 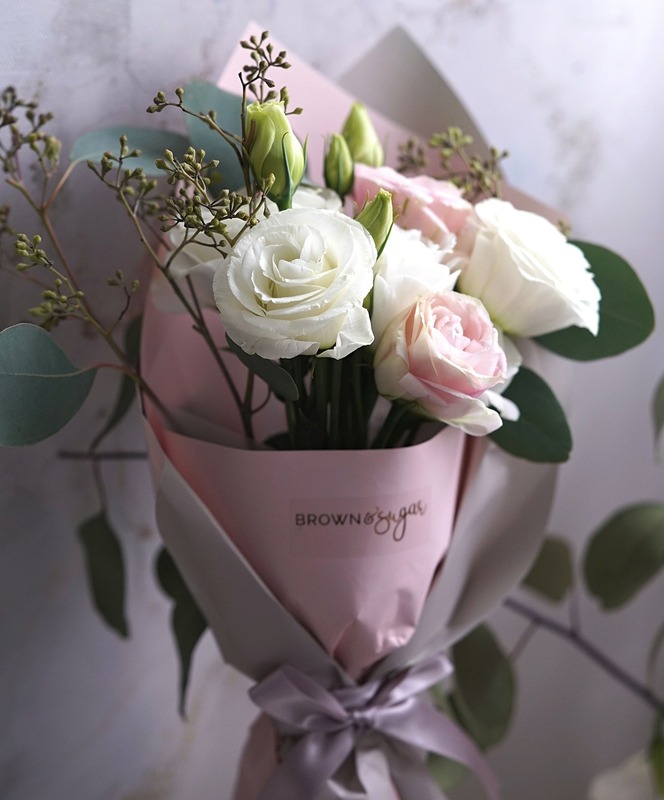 No matter the short of a drive, it's still very possible to damage the bouquet due to its fragility.